Cork spheres that defy the limits of physics and Imagination! Fun, safe, free of pollutants and sustainable, what's not to like? This amazing and cool cork building set will test the limits of physics and your child’s imagination! Bal-lu cork set includes 5 spheres with 5, 6, 7, 8 and 9 cm in diameter. They are light, quiet and easy to play with. 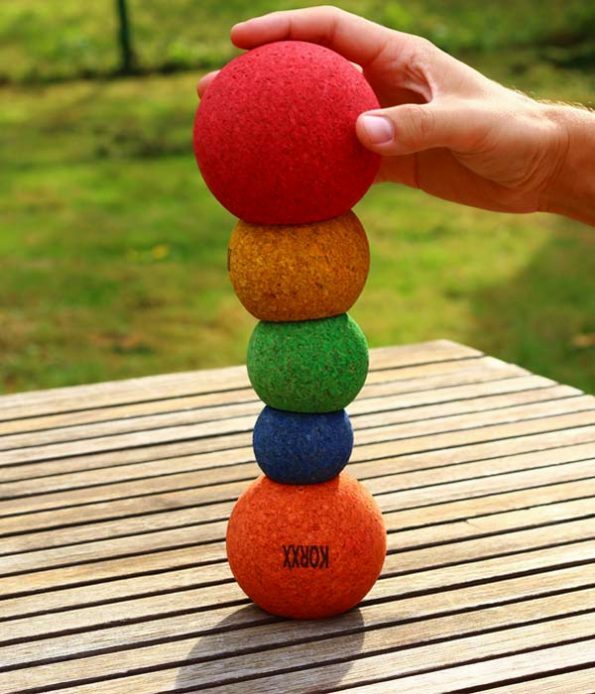 The 5 different sized spheres allow children to build many combinations of shapes or complex structures, towers, bridges, etc. Imagination and the laws of physics are the limit! Even the weirdest twisted stacking tower or arc will hold up! Each cork sphere has indentations so that they can be easily stacked on top of each other without rolling or falling away, allowing for new and innovative creations. 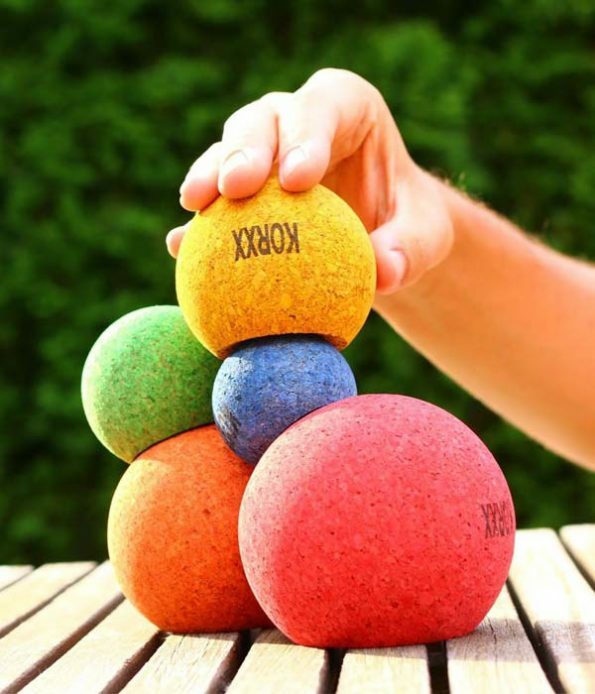 Cork spheres have polished surfaces and are safe and suitable for children from 1 year old. 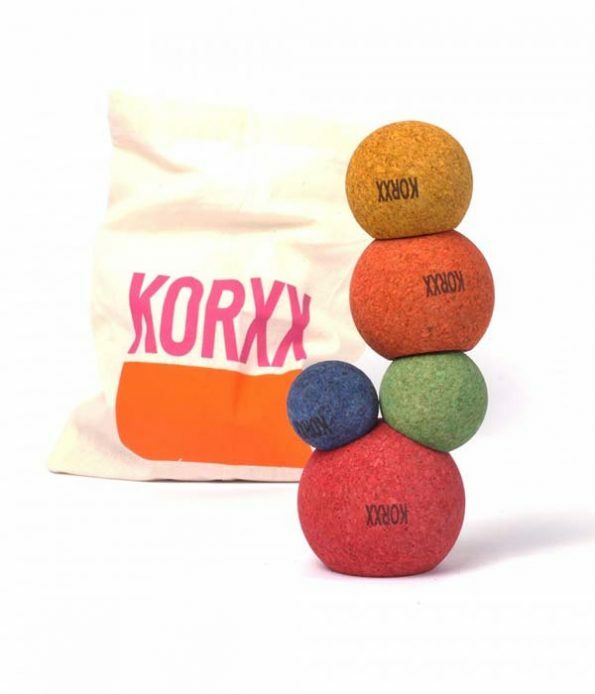 Free of pollutants and sustainable, these spheres are non-toxic and free of harmful substances (e.g. : phthalates, dioxins, formaldehydes). Cork materials sourced in accordance to the sustainability forest regulations established by the FSC. Storage: Cork can absorb moisture and therefore swell a little. Please store in a dry environment to protect from long-lasting moisture exposure in order to avoid any deformation. This toy comes with a portable cotton bag for easy storage and mobility.